Wittenborg University's School of Business is one of the most international institutes in the Netherlands. Its exceptional teaching and tutoring pedagogies, such as the case method of teaching, prepare students academically, personally, and professionally for successful careers as future managers, leaders and entrepreneurs. Lecturers are academics and practioners, most lecturers are involved in business or industry. 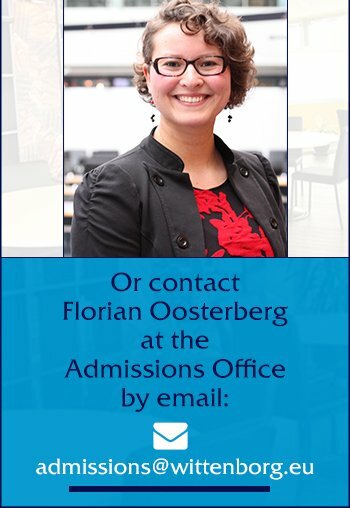 A variety of bachelor's and master's programmes are offered at the School of Business and are all accredited by the Swiss-German Accreditation Agency, Foundation International Business Administration Accreditation (FIBAA) and the Netherlands Flemish Accreditation Organisation (NVAO). Double bachelor's degrees and master's programmes are offered in conjunction with the University of Brighton.